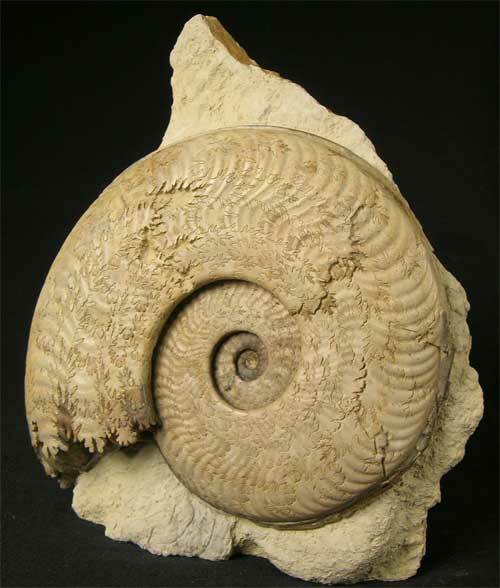 Another fantastic display ammonite with an immaculate centre. 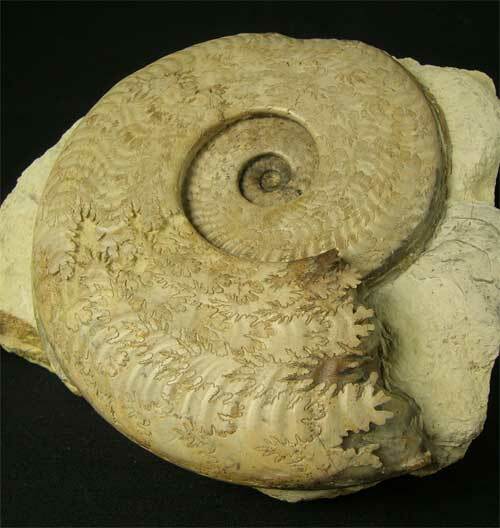 The ammonite has been preserved in different shades of brown calcite. The last suture has been fully exposed which takes many hours of preparation for maxium aesthetics. Such quality is becoming extremely rare nowadays to collect from this locality. 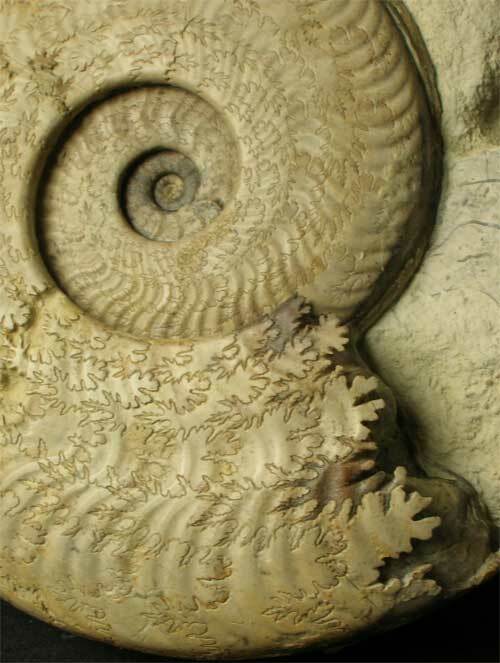 The ammonite has been prepared on a lovely piece of cream coloured matrix which also has a cut base for ease of display. 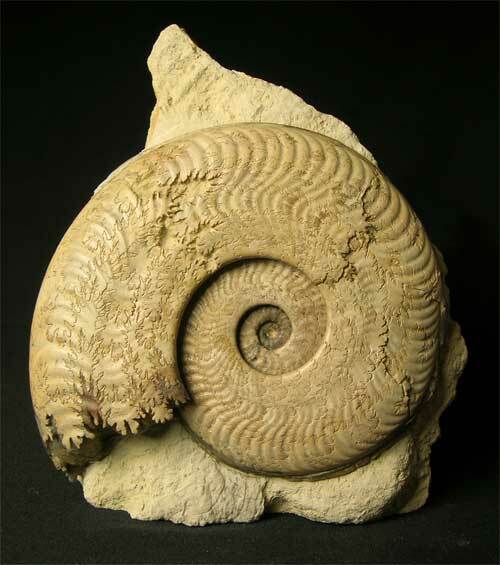 This wonderful display ammonite would grace any home or office space. Approximately 180 million years old. Prepared by Andy Cowap.